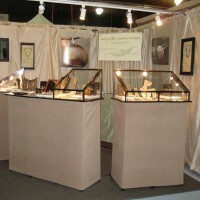 I participate in craft festivals throughout the year where I show and sell my jewelry designs. I hope to have a chance to speak with you and show you my newest work at these fine events. Please visit the show websites for more details.